White Memorial Medical Center asked on Tuesday for the public’s help in identifying a woman who has been at the hospital since July 14. “Jane Doe,’’ who’s believed to be in her 50s, was brought to the hospital after being found in the St. Martha’s Church parking lot in Huntington Park, according to spokeswoman Alicia Gonzalez. It’s unknown whether the woman was ill or injured at the original location, but her vital signs are now good, though she is confused and cannot help identify herself, Gonzalez said. The patient was not carrying any documentation, and “we cannot release her if we don’t have her identification or know who her family is,’’ Gonzalez said. 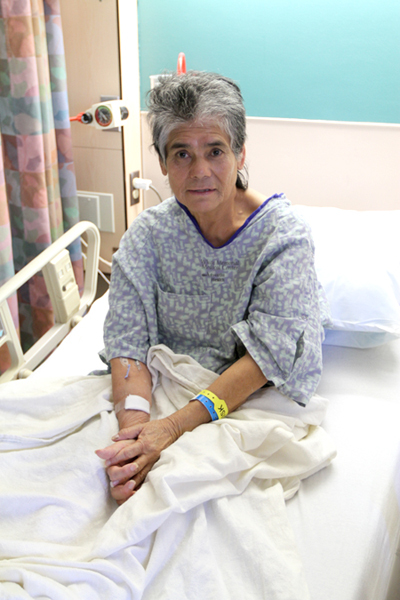 The patient was described as Hispanic, 5 feet tall and 151 pounds, with brown eyes and gray hair. Anyone with information about her identity was asked to call the hospital at (323) 268-5000 and have the operator page beeper 494. September 5, 2012 Copyright © 2012 Eastern Group Publications, Inc.